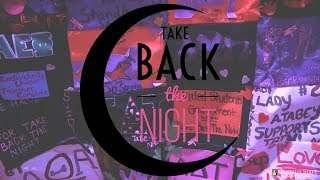 The Switch ~ Ensemble, a unique contemporary musical ensemble, will perform a mix of acoustic and electronic music on Tuesday, March 6, at 7:30 p.m. in the Louis P. Ciminelli Recital Hall in Rockwell Hall. Founded in 2012 at the Eastman School of Music by 10 students, the Switch ~ Ensemble performs across the country. In the summers of 2016 and 2017, it served as ensemble-in-residence at the Valencia International Performance Academy in Spain and the University of Chicago, respectively. 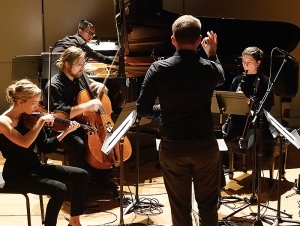 During its visit to the Buffalo State, the Switch ~ Ensemble also will present a workshop on combining electronic and acoustic music on Monday, March 5, at 4:30 p.m. and a master class on playing contemporary music on March 6 at 12:15 p.m. Both take place in Ciminelli Recital Hall and are free and open to the campus. Admission to the performance is $10 for the general public. Students with ID are admitted for free. Contact the Rockwell Hall Box Office at (716) 878-3005 or order tickets online.